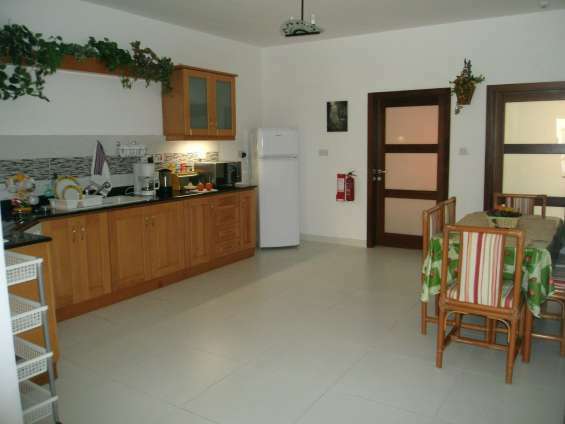 Malta island – sunshine HOLIDAY APARTMENT – (FULLY licensed by Malta Tourism Authority). A beautiful and spacious family run apartment. 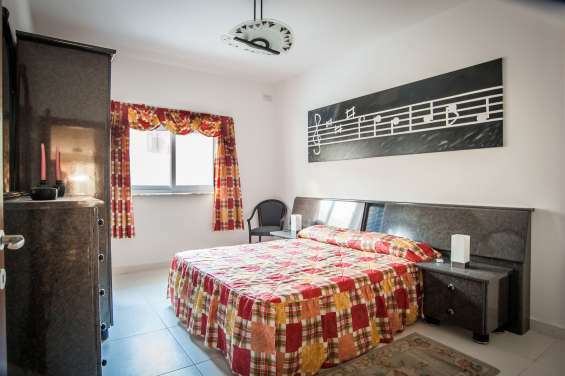 A perfect apartment situated in the heart of Marsaskala in a new, modern and smart block in a quiet and very safe area in the typical Mediterranean fishing village of Marsaskala – Malta. 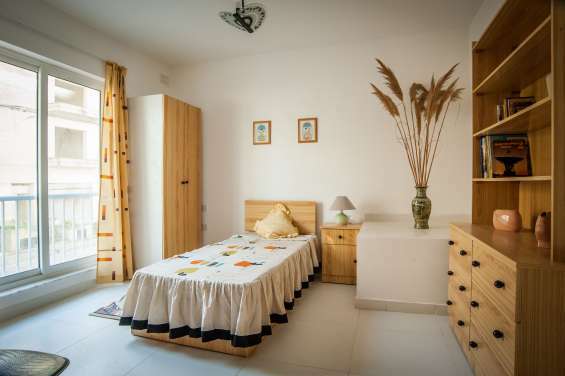 This is a large, modern and nice fully furnished self-catering apartment of 120 sq Meters, that consists of three bedrooms, the master bedroom with king size bed + air conditioner and an en-suite with shower, sink and toilet. The other bedroom has two single beds + air conditioner and another bedroom has one single bed. 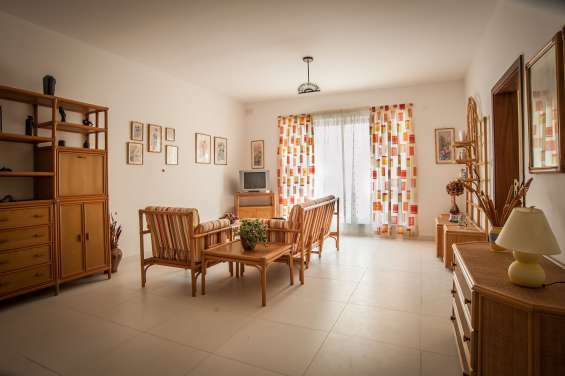 This first floor apartment has an airy open-plan living area and a big and nice kitchen which comes fully equipped with all the utensils you need to prepare your favorite dishes and dining area with dinner table and 6 chairs, and large living room with facilities for your convenience and comfort include wireless internet (WiFi), cable television, and telephone. 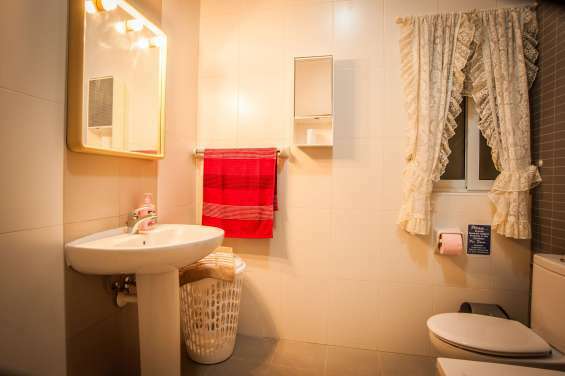 There is another bathroom (Main/Guest bathroom) with full bath, sink and toilet. All outside doors and windows have double glazing glass and mosquito net frames. The floor tiles are ceramic. The block main door opens with a digital code number or by key and intercom. 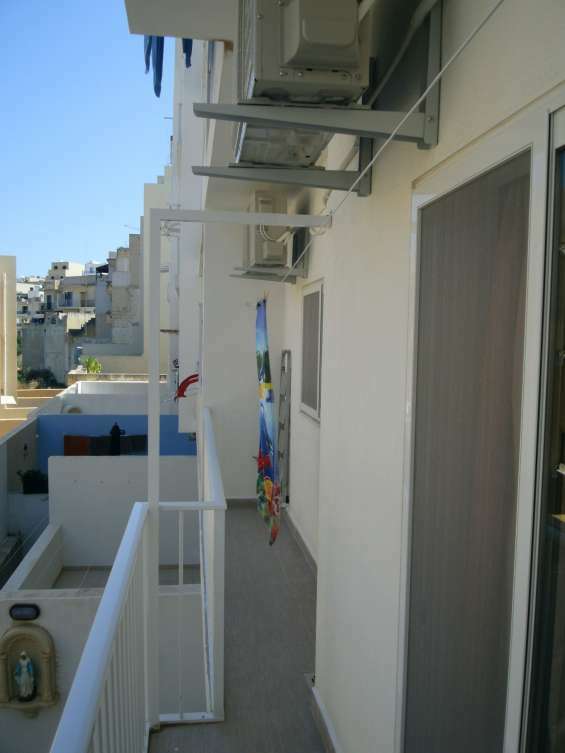 This apartment is on the first floor and has easy access and one can also use the lift or the stairs. Notice board with map of Marsaskala with useful information, and list of emergency telephone numbers. Cable T.V. with international channels. Electric built-in oven and hob. Bedside Alarm clock with radio. Water (hot & cold) and electricity. Baby plastic bath and potty.? Each guest group has to make a deposit of Euro 200 in case of any damages done in the apartment, which deposit will be returned, if no damages are incurred, before departure. 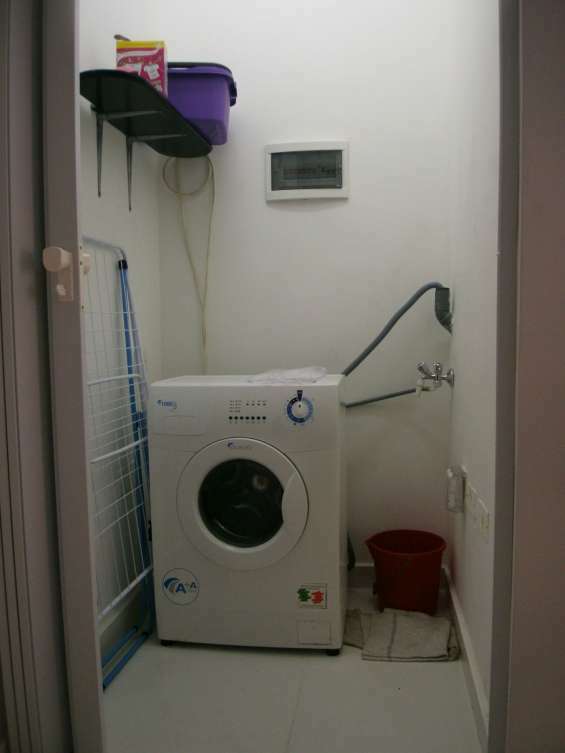 Guests pay a total of Euro 25 for cleaning services of the apartment after departure. 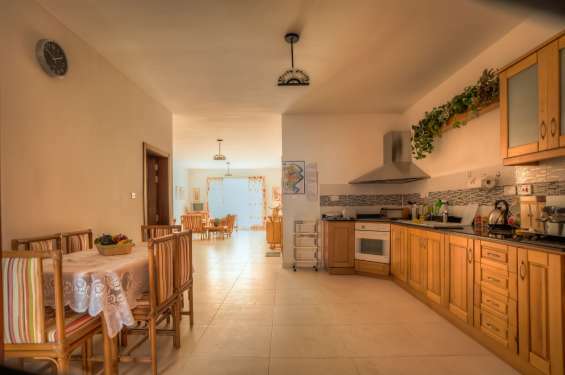 Rental cost = From 1st January 2016 till 31st May 2016 and again from 1st October 2016 till 31st December 2016; 1 to 4 person pay the total price of Euro 60 per night, and in case of the five guest he/she pays extra Euro 10 per night. 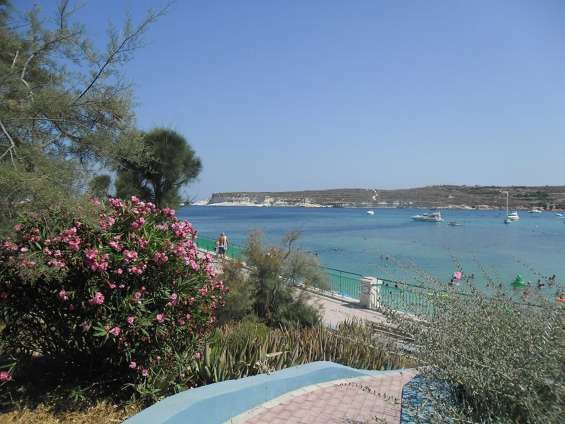 (4 persons pay Euro 420 and 5 persons pay Euro 490 for 7 nights). From 1st June 2016 to 30th September 2016; 1 to 4 person pay the total price of Euro 65 per night, and in case of the five guest he/she pays extra Euro 10 per night. 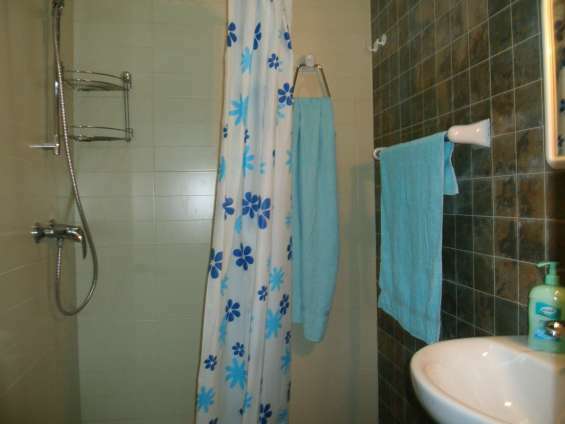 (4 persons pay Euro 455 and 5 persons pay Euro 525 for 7 nights). 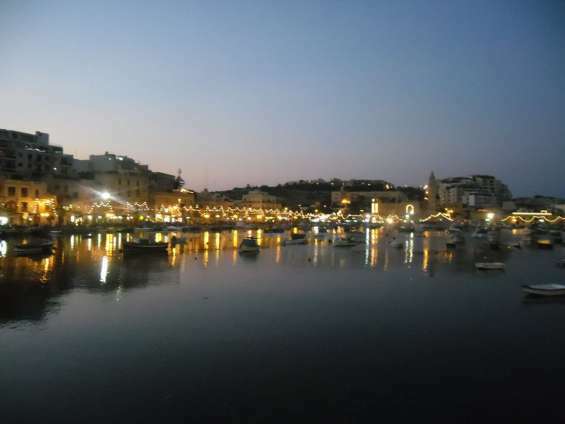 Location: Marsaskala is lovely and touristic village with excellent restaurants, pizzerias, bars and takeaways. The bus stop from and to Valletta is nearby (about 50 meters away) just round the corner [Valletta is about 7 kilometers away]. A Mini Market, a Confectionery/Bakery shop and Stationery & letterbox are situated nearby. 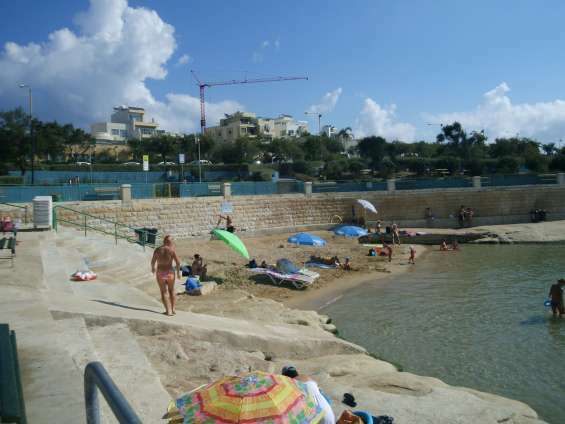 Sandy and rocky beaches are within walking distance (about 200 meters to the beautiful St. Thomas Bay) and located just 220 meters from the apartment is the Marsaskala promenade. 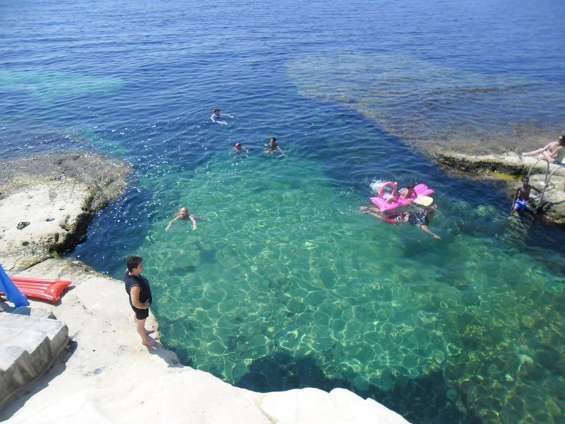 The Malta International Airport (the only airport in Malta) is about 9 kilometers away the Marsa Golf Courses about 6 Kilometers away, Cottonera (the three old cities) about 4 kilometers away and the Hypogeum (which is the only one of its kind in the world) is about 4 kilometers away. The owners Maria & Gabriel will wait for the guests to arrive at the apartment to hand the keys and show the guests around the apartment. 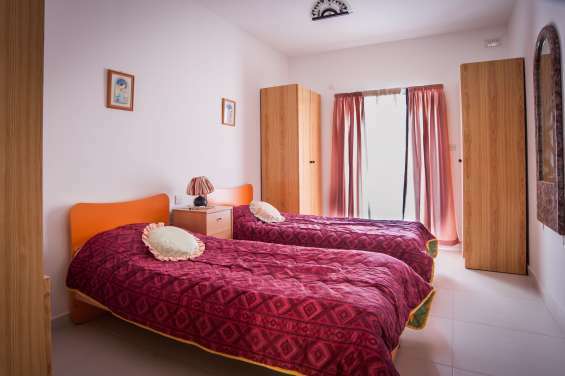 From 'Malta International Airport' the guests can come by bus (Marsaskala Bus Stop name 'Vahla' near Re Leon Sports Restaurant, about 120 meters away from the apartment). If the guests wish, additionally we can provide you with mini bus or Taxi transfer from the Airport. The taxi driver or the minibus driver will wait for the guests at the arrivals gate with a placard with guests' name and surname. The prices will be around Euro 20 by day time till 23.00 hrs and after 23.00 hrs and night Euro 25 for a taxi or around Euro 15 for a minibus. Please note that the guests need to pay the driver on your way to the apartment. Smoking is allowed outside only in the apartment Balcony. Sorry no pets are allowed in this apartment.